Note: Part 2 of this piece can be found here. Although some think blockchain is a solution waiting for problems, there’s no doubt that this novel technology is a marvel of computing. But, what exactly is a blockchain? In this article, I’ll make a simple blockchain in less than 50 lines of Python 2 code. It’ll be called SnakeCoin. We’ll start by first defining what our blocks will look like. In blockchain, each block is stored with a timestamp and, optionally, an index. In SnakeCoin, we’re going to store both. And to help ensure integrity throughout the blockchain, each block will have a self-identifying hash. 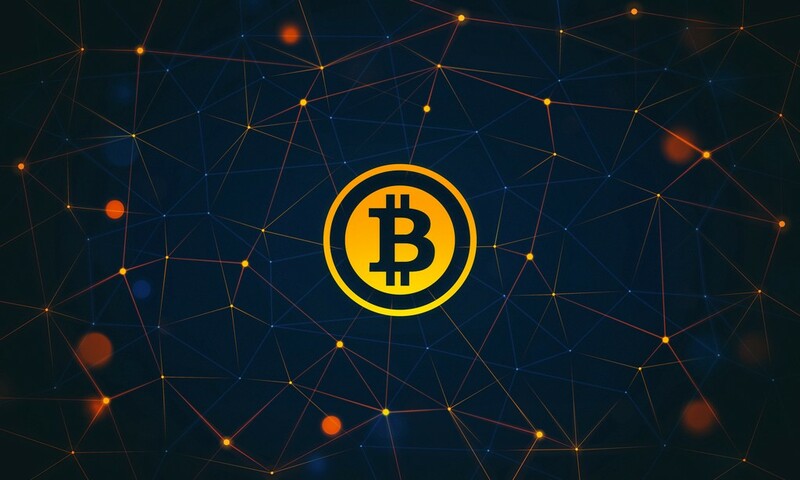 Like Bitcoin, each block’s hash will be a cryptographic hash of the block’s index, timestamp, data, and the hash of the previous block’s hash. Oh, and the data can be anything you want. Awesome! We have our block structure, but we’re creating a blockchain. We need to start adding blocks to the actual chain. As I mentioned earlier, each block requires information from the previous block. But with that being said, a question arises: how does the first block in the blockchain get there? Well, the first block, or genesis block, is a special block. In many cases, it’s added manually or has unique logic allowing it to be added. 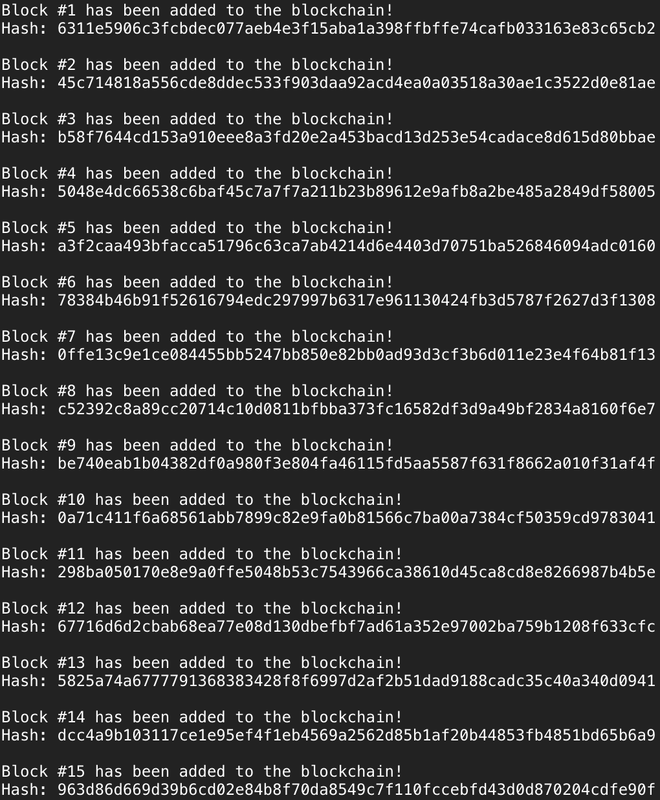 Now that we’re able to create a genesis block, we need a function that will generate succeeding blocks in the blockchain. This function will take the previous block in the chain as a parameter, create the data for the block to be generated, and return the new block with its appropriate data. When new blocks hash information from previous blocks, the integrity of the blockchain increases with each new block. If we didn’t do this, it would be easier for an outside party to “change the past” and replace our chain with an entirely new one of their own. This chain of hashes acts as cryptographic proof and helps ensure that once a block is added to the blockchain it cannot be replaced or removed. That’s the majority of the hard work. Now, we can create our blockchain! In our case, the blockchain itself is a simple Python list. The first element of the list is the genesis block. And of course, we need to add the succeeding blocks. Because SnakeCoin is the tiniest blockchain, we’ll only add 20 new blocks. We can do this with a for loop. Don’t worry. It goes up to 20. That’s about all that SnakeCoin has to offer. To make SnakeCoin scale to the size of today’s production blockchains, we’d have to add more features like a server layer to track changes to the chain on multiple machines and a proof-of-work algorithm to limit the amount of blocks added in a given time period.